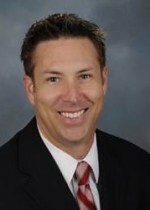 Kenneth Gundersen has been admitted to partner at Allen Haight & Monaghan LLP (AHM) of Irvine, Calif. Prior to joining the firm, Gundersen had 20 years of experience in public accounting at several firms. He will serve clients as a partner in AHM’s audit and assurance services department. Gundersen’s clients have ranged in size from entrepreneurial start-ups to established multinational corporations. His experience spans a wide range of industries including the manufacturing, distribution, retail, technology, real estate, professional/business service and non-profit sectors. Gundersen brings to AHM substantial expertise in corporate finance. Throughout his career, he has assisted companies in various financial transactions, including debt and equity issuances, structured finance, public offerings, acquisitions and reorganizations. He has counseled public companies on compliance with SEC requirements, including the Sarbanes-Oxley Act. He has also consulted with a number of companies on their general business operations including workflow, waste reduction, strategy and growth/profit initiatives.